Website traffic is something which is essential for attaining leads and growing business. In Digital Marketing SEO Press Release (PR) have been the best methods to increase the traffic and getting quality backlinks. Though there are various ways to implement this process PR has always been first in delivering the genuine backlinks. 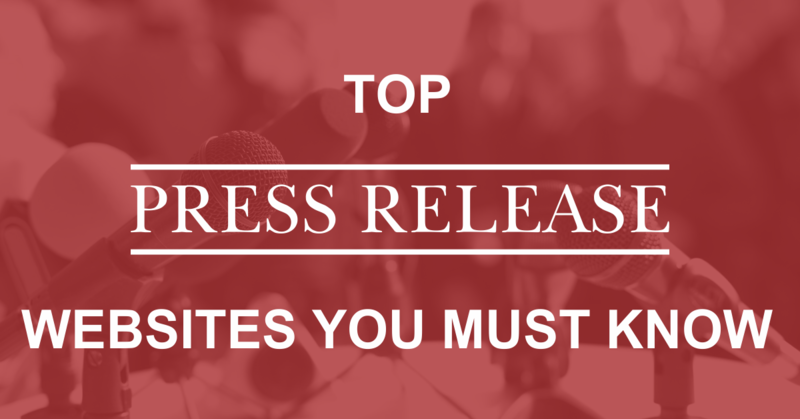 To tell in the purest forms Press Release is the power of SEO. PR is that sharing the news that is worthy. Back then, they have used the way for companies to let journalists know about significant events, such as winning the award, launching a new product, or winning a significant contract. As everything has moved from traditional to online, it has become easy for the online PR to handle hundreds of sites faster. In this article from Digital nest, we tell you the free Press release sites to submit the content. PR is the most valuable resource in SEO, and it is the main concept in the Off-Page optimization. Submitting in the highly professional content make the websites to approve and provide you the genuine backlinks , traffic and brand awareness.